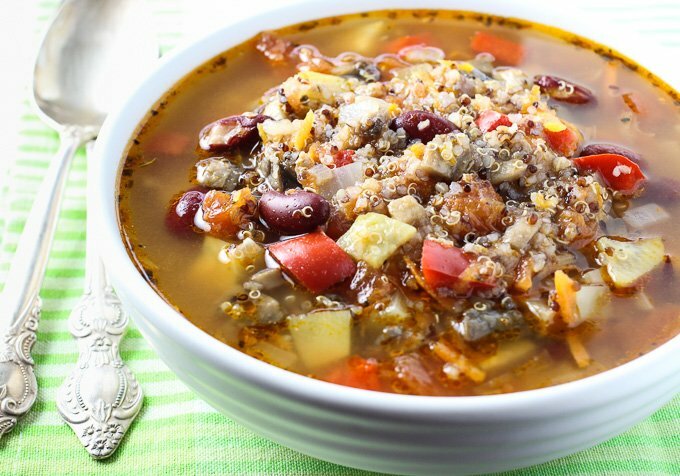 This mushroom and quinoa minestrone soup is light and filling at the same time. 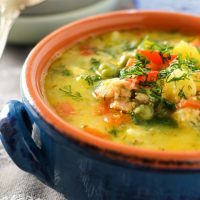 It’s packed with vegetables and incredibly flavorful. 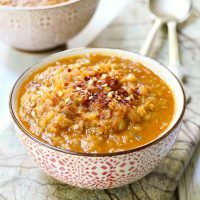 Even though this soup is meatless, it’s full of protein thanks to mushrooms, beans, and quinoa. I usually cook the quinoa before adding it to so soups. I do it to get rid of the bitter taste. 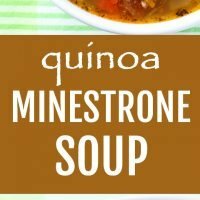 If you are not bothered by it, you can just put quinoa into the soup instead of precooking it. I also like to cook the mushrooms separately because I find they taste better that way. 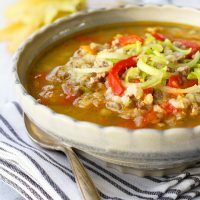 Cooking the quinoa and mushrooms before adding them to the soup might seem like you need to spend some extra time in the kitchen. However, you can cook the quinoa and mushrooms at the same time as you are chopping the rest of the veggies. 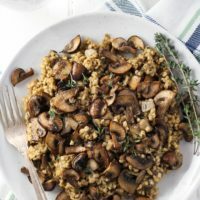 Quinoa and mushrooms cook quickly and will be done before you finish chopping. A little bit of multitasking and the soup will taste better. 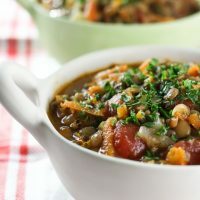 For more gluten-free vegan soups, check out this Greek Lentil Soup, this Beetroot Soup with Beans, and this Spicy Red Lentil Soup. 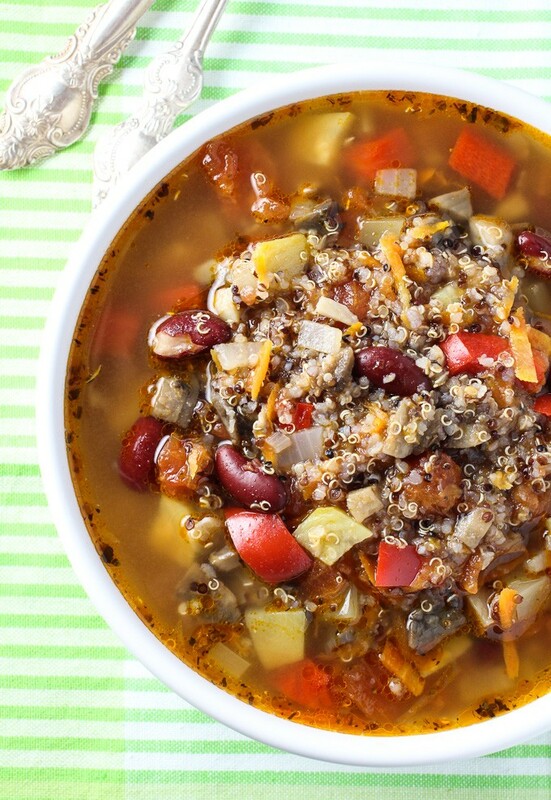 This Mushroom and Quinoa Minestrone Soup is packed with vegetables and incredibly flavorful. 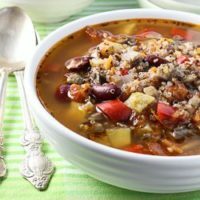 It’s also full of protein thanks to mushrooms, beans, and quinoa. Place the quinoa and 1 1/2 cups of water into a small saucepan. Bring to a boil. Reduce heat and cover. 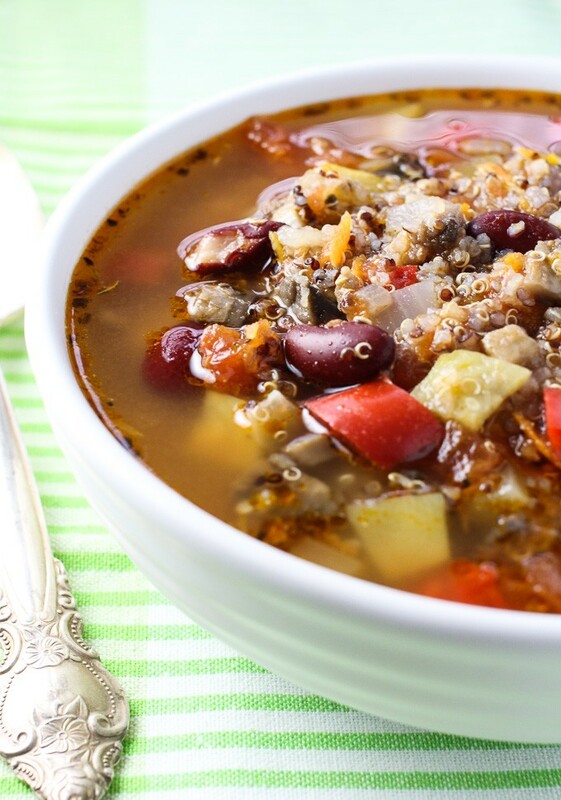 Simmer for 10 minutes or until the quinoa is fluffy and has absorbed all of the liquid. To prepare the mushrooms, heat 2 tablespoons of olive oil in a large pan over medium heat. Add the mushrooms and cook, stirring occasionally, until the mushrooms are soft, reduced in volume, and the mushroom liquid has evaporated, for about 8 minutes. Set aside. ( To save time, I usually cook the quinoa and mushrooms as I chop the veggies). Heat 2 tablespoons of olive oil in a large pot over medium heat. Add the onions and cook, stirring occasionally, until the onions start to soften, for about 4 minutes. Add the celery, carrots, zucchini and red pepper. Cook the vegetables, stirring occasionally until they start to soften, for about 3 minutes. Add the diced tomatoes, vegetable stock, water, mushrooms, beans, oregano, basil, and garlic powder. Season with salt and pepper. Stir a few times and bring to a boil. 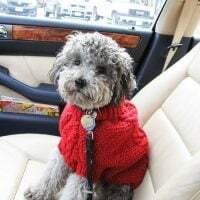 Reduce heat. Cover and cook for about 15 minutes. Add the quinoa and cook for 5 more minutes. 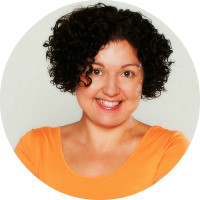 Nutrition information is a rough estimate for 1 of 7 servings. When do I add the 5 cups of water? Oops, sorry! Add it at the same time as the other liquids, so together with the vegetable stock and diced tomatoes. 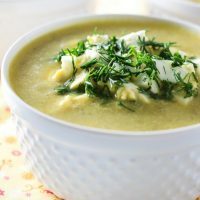 Maria – this looks so delicious! I’m pinning it for either a sudden cool-down, or next winter because it’s already in the low 90s here in AZ, but I can’t wait to try it!